Tomasz Górnicki – young, but already acclaimed polish sculptor, won the contest to create a monumental statue for the newly built shopping mall – Forum – in Gdańsk. The process of creating the piece has been photographed in a very distinct, personal and aesthetic style. The photographs have been used to create a unique photo book. 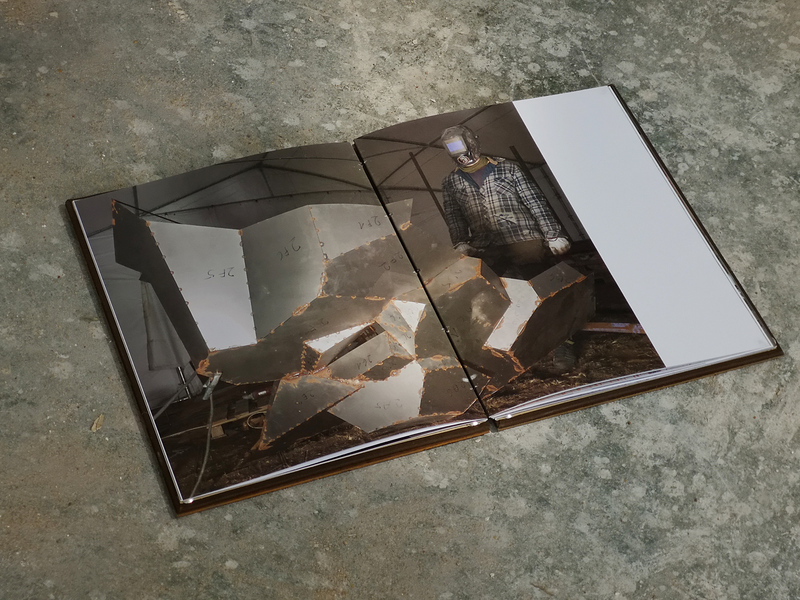 The book is meant to be a visual experience of the sculpting process. The cover of the book is made of the same steel, as the statue. 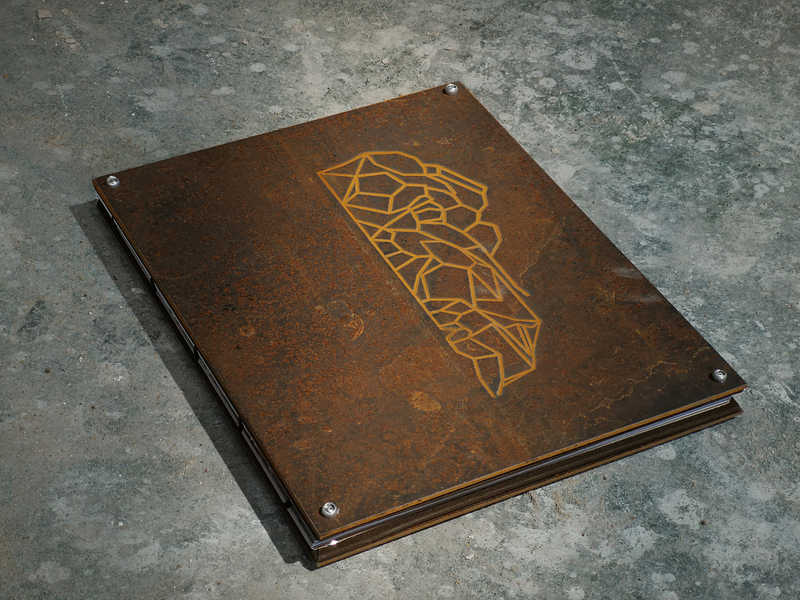 It is not only heavy, but it makes hands of the viewer dirty with rust. On the front cover a pattern has been etched with water. The pattern depicts first lines that Tomasz Górnicki drew while designing the statue.